I'm here today to share a couple new projects created with new release Sizzix Dies from Chapters 1 and 2. Before I begin I hope you had a lovely Easter. 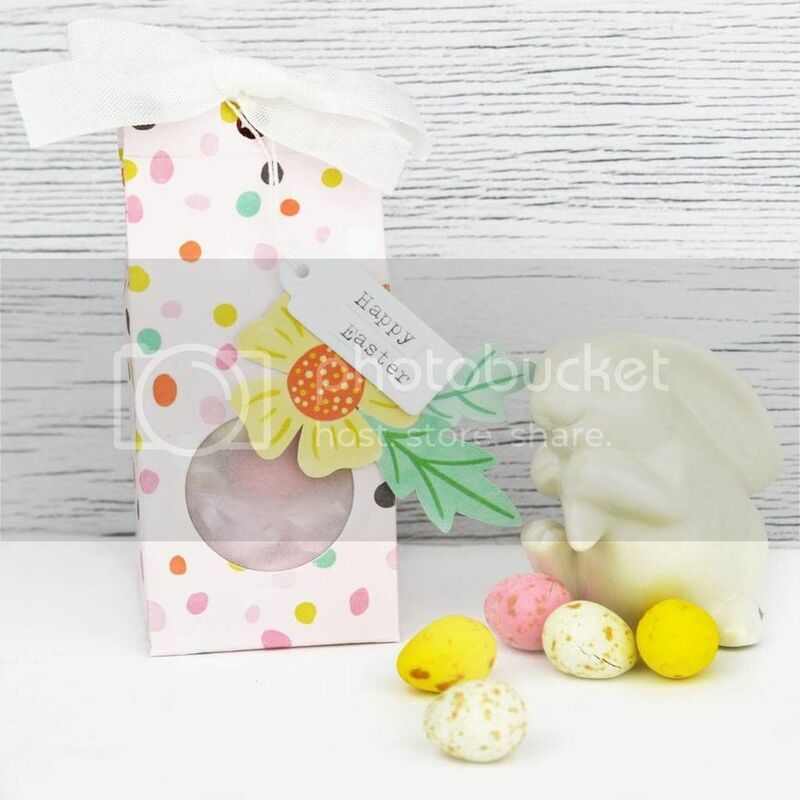 I created a fun little gift using the Milk Carton die (658823) and the Pink Paislee Oh my Heart collection. Next I have a gorgeous card for a special someone or even a couple. 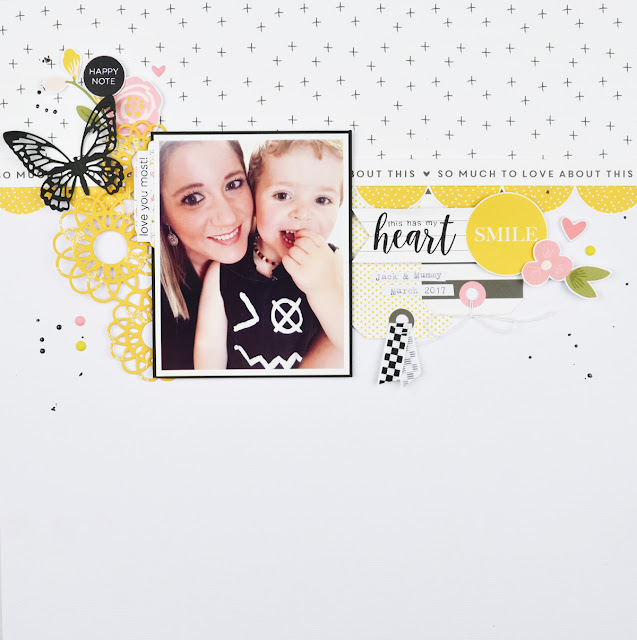 This one is featuring the new Chapter 2 releases; Interlacing Birds 662101 and Cacti 661700, and using the Take me Away collection by Pink Paislee. I love how the interlacing dies give so much depth and dimension! I was able to add foam tape under some parts to help pop it off the page more. I also created a cute crown from the Cacti set and fussy cut a bow from one of the Pink Paislee papers. 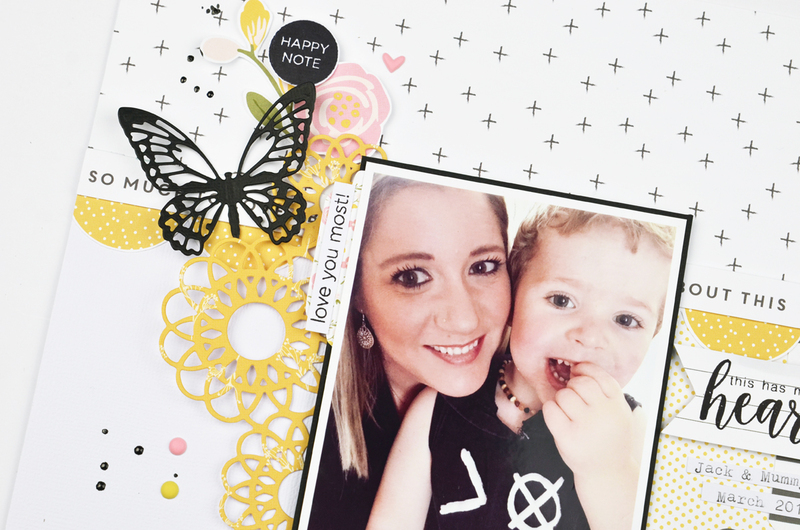 Finally I will share with you a layout I created, I used the 'doily mask' and 'mini detailed butterflies' dies. 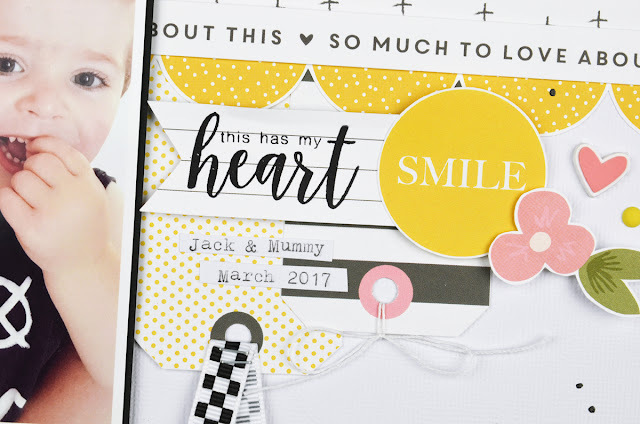 I also delved into the gorgeous Sophie kit from Felicity Jane that was perfect for documenting this photo of my little man and I.
I loves the 'doily mask' die as soon as I saw it and thought it would be a beautiful and detailed addition to a page. It was able to border my photo beautifully. 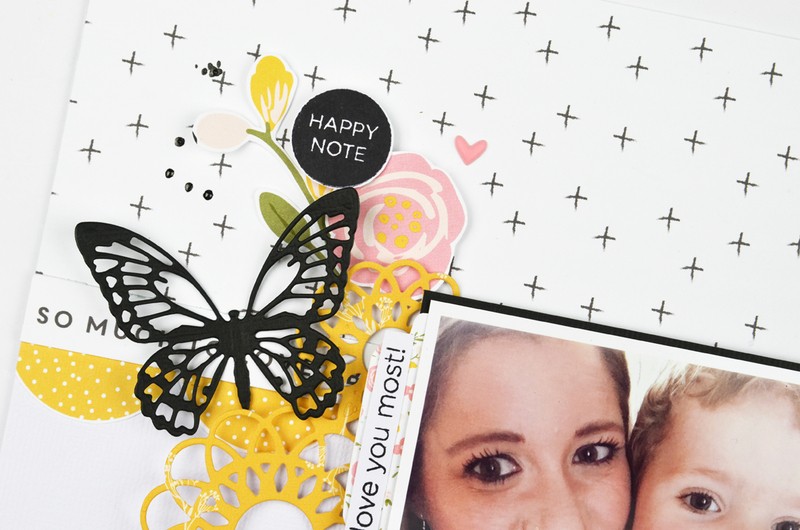 The 'detailed butterflies' die is so intricate and pretty, a great staple die for a stash. I mean who doesn't love butterflies? 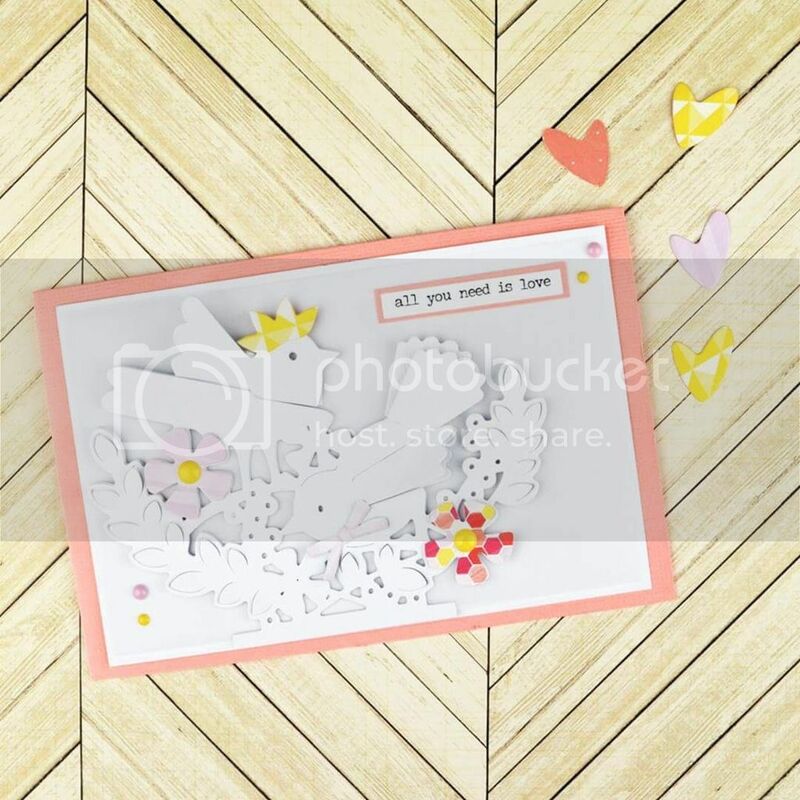 The Felicity Jane kit gave so many cute elements that could be cut out. I also stamped my title, something I am doing a little more often lately.